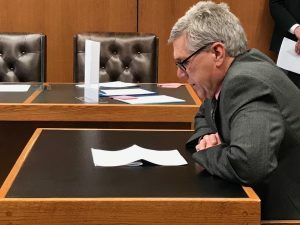 NHPA executive director Phil Kincade and former vice president Jon Van Fleet testified at the N.H. House of Representatives Judiciary Committee Tuesday January 23 in support of three bills regulating the cost of obtaining public documents. 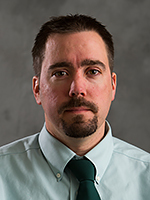 My name is Phil Kincade and I am here today in my capacity as the executive director of the New Hampshire Press Association. A brief history of my background, I started my newspaper career at Foster’s Daily Democrat in 1979 and 33 years later moved to the Nashua Telegraph where I retired in 2015 as executive editor. 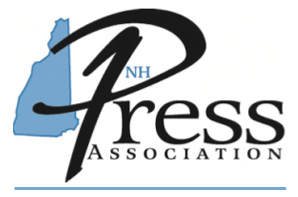 The press association counts as its members all the state’s daily newspapers, many weeklies, several online news outlets as well as New Hampshire Public Radio. Our president is Vanessa Palange assignments editor at NH1, our Vice President is Chuck Douglas publisher of the Bow Times, our Secretary is Heather Henline, publisher of the Nashua Telegraph and our Treasurer is David Brooks of the Concord Monitor. I beg the committee’s indulgence to address at the same time the three bills before you this afternoon regarding the fees charged for public documents requested under provisions of the state’s right to know law – HB 1786, HB 1788 and HB 1789. The press association believes the fundamental principles of open government that these bills seek to protect and preserve are the same, and, so as to not waste the committee’s time or take time away from other speakers, I ask to be allowed to speak just once. Of the pending legislation relating to right to know issues this session, the press association believes the three bills before you today are important because they strike at the heart of what a free and open government is all about – public access to public information. These unequivocal words invoke a moral imperative that any attempt to impede public access or transparency, including unreasonable financial barriers, must not be tolerated because they violate both the letter and the spirit of New Hampshire law. They mean too that as lawmakers you are entrusted with the responsibility to ensure that in governance the people’s sovereignty is paramount. So, how do these bills protect and advance New Hampshire’s commitment to open government? Foremost they establish a uniform set of reasonable rules all government entities must adhere to, where none exist today and they prevent public officials from using arbitrary research and copying fees to discourage right to know requests. This level playing field means that people seeking access to public information will know what to expect and be able to hold officials accountable who to not adhere to the law. It’s the experiences of our members that there is a wide variety in what towns, cities and state agencies charge for public information. For example: Manchester charges $1 per page to email copies of electronic documents when the commercial copy rate across the street is 10 cents for a printed page. Meanwhile, the attorney general’s office charges $1 for a CD with thousands of pages. Bow charges 25 cents per printed page. Weare charges 40 cents. The system begs for consistency. Recently, The Union Leader requested a one-page electronic document from the Bedford Police Department. It submitted its request to the chief via email. But in an effort to follow the town’s protocols, he couldn’t forward the document via email. Instead, the town printed the page and asked the Union Leader to drive to town hall to pay $1 before releasing the document. Is that big money? No, but it’s unnecessary bureaucracy that creates more work for everyone involved, not to mention being in obvious contradiction to New Hampshire’s codified notion of open government. We should not lose sight of the fact that the public has a “right” to know not a granted privilege to know. .
And therefore the press association believes that in keeping with the government’s responsibility to provide the “greatest possible public access to the actions, discussions and records of all public bodies” that it is wholly reasonable and fair to ask government agencies not to charge for the inspection or delivery, without copying, of governmental records; that there should be no cost for the transfer of electronic documents; and to charge the public no more than the market rate for physical copies. By bolstering the tenets of the state Constitution and the Right to Know law, these three bills serve the public interest and deserve passage. My name is Jonathan Van Fleet. I am an editor at the Concord Monitor and among other duties, I oversee our newsroom’s efforts to access government records. If any of you called me at work and asked for a copy of photograph that ran in the newspaper, I’d be able to send it to you electronically in a matter of minutes. We do that as a courtesy to our subscribers. While the photo can be found in paper form, it originated electronically and it’s easy for me to attach and send in an email. Yet, when I call a government agency and ask for public salary data, or a police report, I’m often told those records, which exist electronically on a computer, can only be produced in paper form, and can cost a few dollars to several hundred dollars to produce. In the Concord area, some towns charge 25 cents per page for copies, while another town charges 40 cents per page, and one police department charged $20 just to review a public report. It’s no secret that certain government bodies are able to hamper public access and transparency through unreasonable financial barriers that violate both the letter and spirit of the Right to Know law. But first, I wanted to share with you some examples of how the Right to Know law is working, and how these three bills, HB1786, HB1788, and HB1789, safeguard and improve public access to governmental records. Last week, I requested access to the list of annuitants for 2017 from the New Hampshire Retirement System. Within one day, I received an electronic spreadsheet, through email, with 34,182 lines of data. If that record was delivered in paper form, it would have been 744 pages long and it would have limited my ability to search and review the data. Late last year, the Monitor requested from the Attorney General’s office all records related to investigation into one of the state’s non-profits, Hope for New Hampshire Recovery. Within a matter of days, the Monitor received 224 pages of memos, emails and letters, sent electronically through email. If the attorney general’s office charged me 25 cents a page, it would have cost me $56 to review those records. Similarly, the New Hampshire court system, which takes its cues for openness and transparency from the state Constitution, already follows the procedures spelled out in these three bills. The court system keeps good track of its records and allows for their free inspection during normal business hours. The gives the public the choice to either make a paper copy at their own cost, or use a cell phone to scan pages electronically. What electronic records the court system does have, it sends through email, for free. First, they keep their records in a format that is easily accessed and transmitted upon request. Second, by sending the records electronically, each agency allowed for the “greatest possible public access” to its records, which is the stated purpose of the Right to Know law. The law doesn’t call for partial access, or even reasonable access to government records, it calls for the “greatest possible” access. Without the guarantee of free inspection of public records, free transmission of electronic files, and reasonable copying fees in the case where only paper records exist, that threshold is easily ignored.